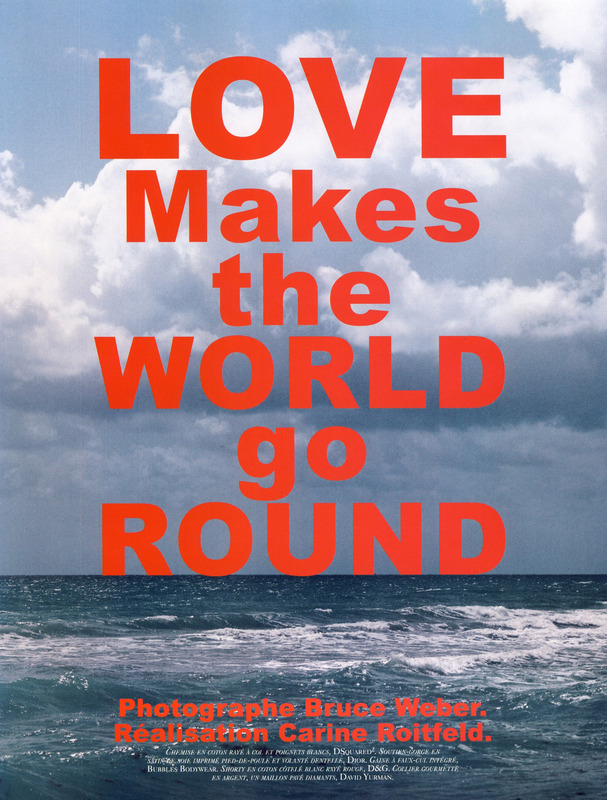 “Love Makes the World Go Round” Bruce Weber and Carine Roitfeld for the French Vogue In June 2009. We definitly don’t see enough of Bruce Weber in Vogue. This is so Fresh… Very American – as usual- but still so unique . Bruce Weber is a very charming story teller. Models : Sasha Pivovarova and Mister i don’t know your name. Dont worry about the bottom of Sasha, she is waring a “culotte Faux-cul intégré” by Bubbles Bodywear ! Please spend more time in Vogue Mister Bruce Weber… and less in advertising !